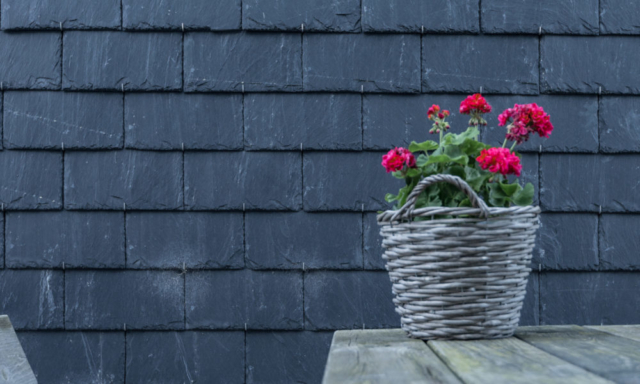 Natural slate has, for centuries, been used as a durable, gorgeous, and long-lasting roofing material. 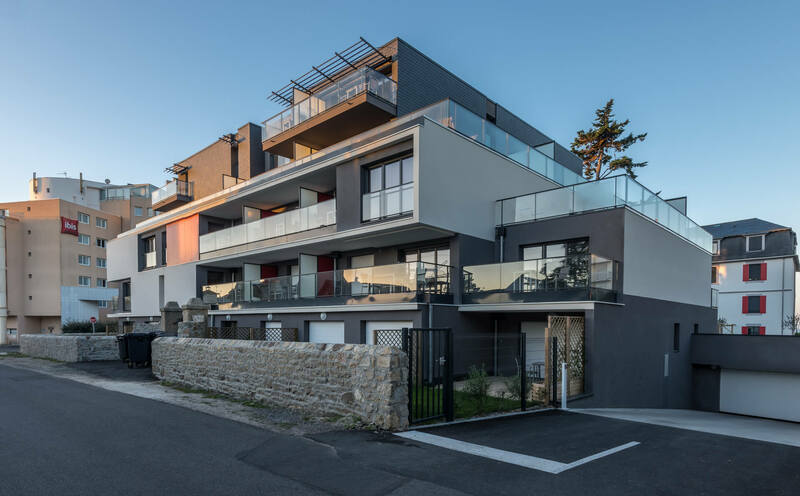 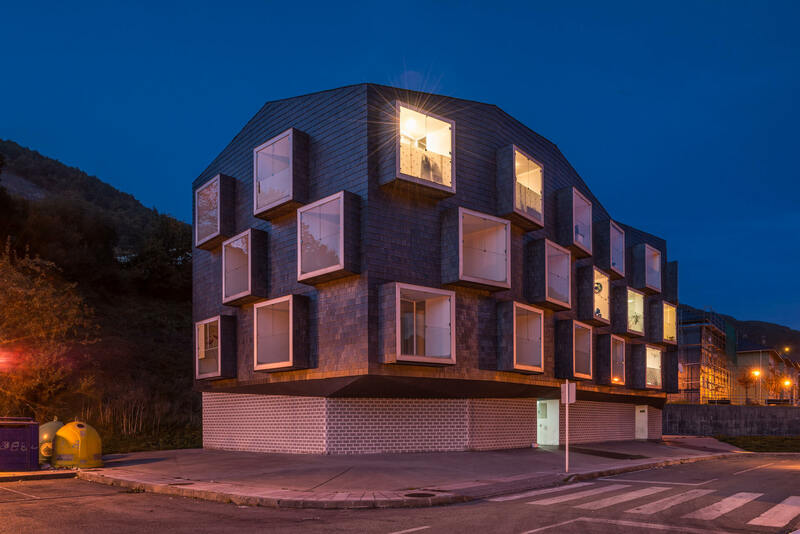 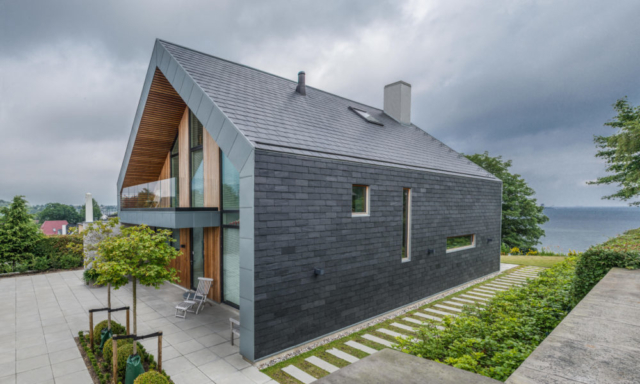 Recently, slate siding has emerged as a modern architectural trend in Europe, and the concept is beginning to creep over to the states. 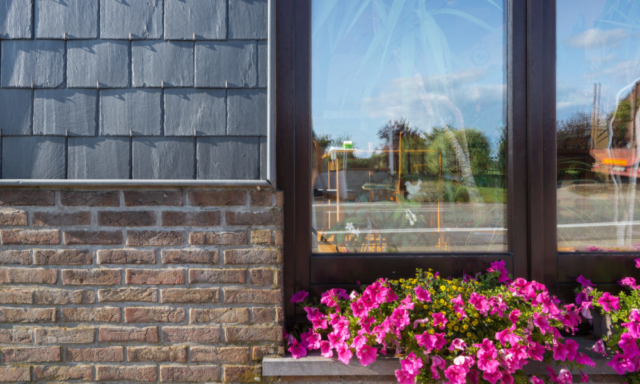 CUPACLAD is an innovative rainscreen system that utilizes the beauty and class of natural slate. 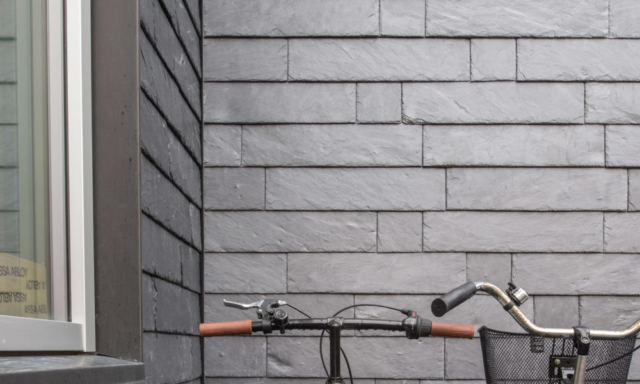 Interested in learning about this system? 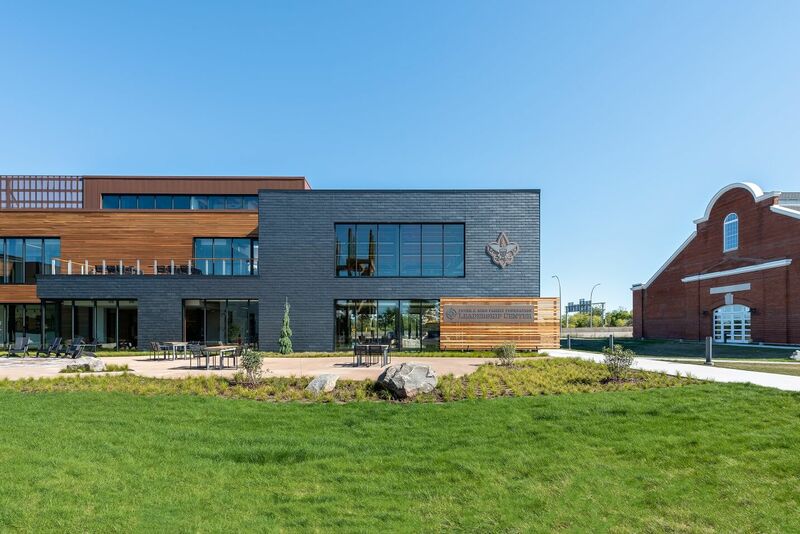 Click here to book a free 1.5 credit continued education course or read below for more information. 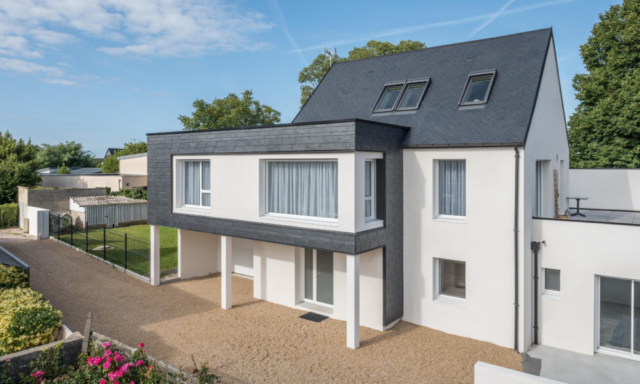 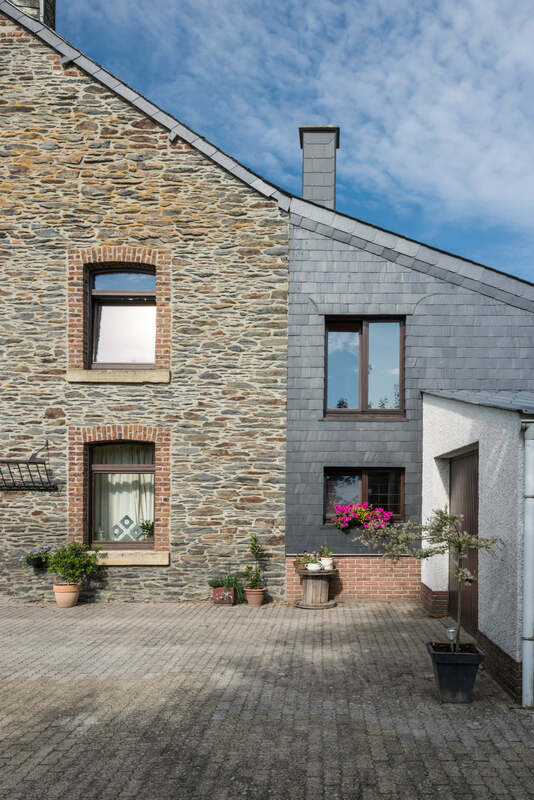 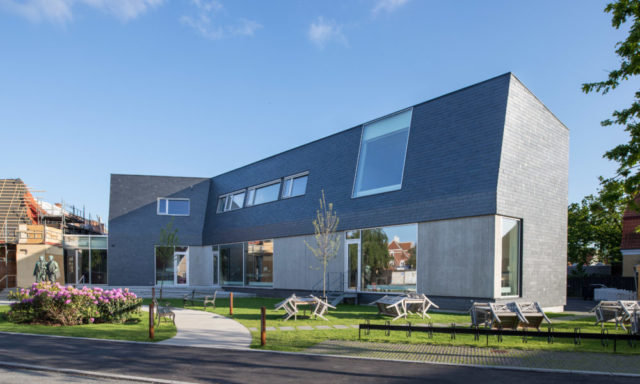 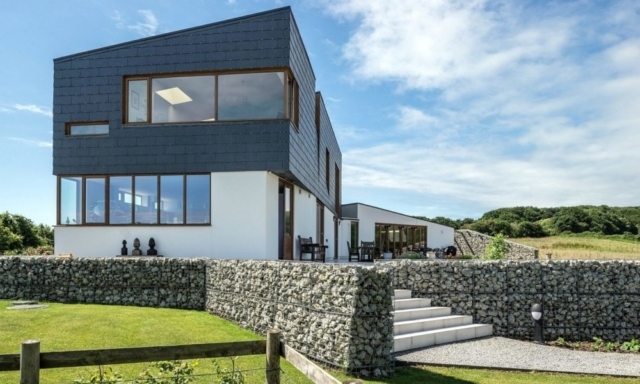 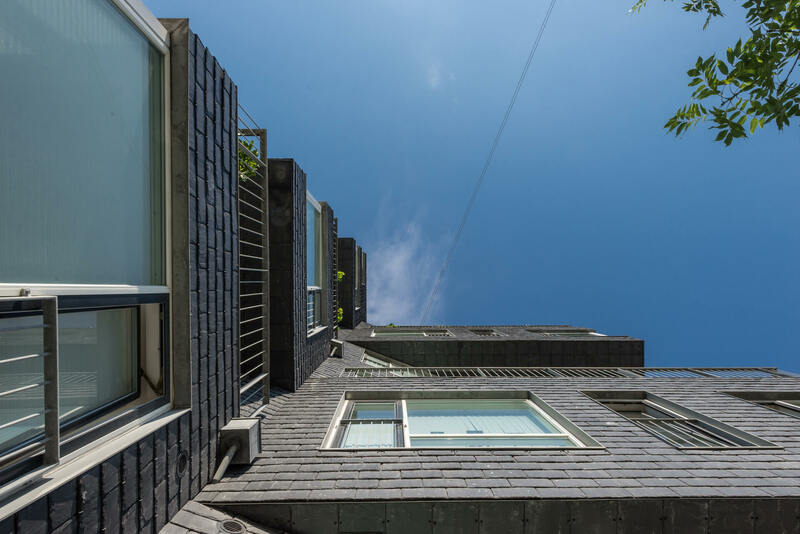 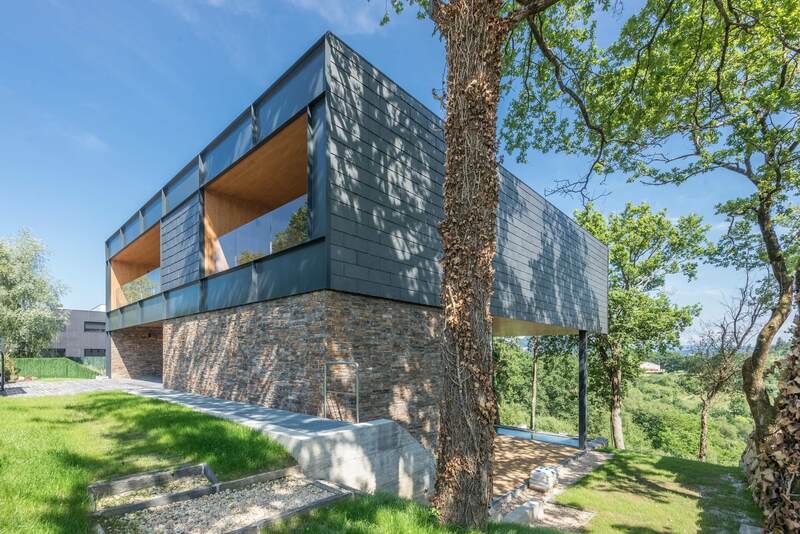 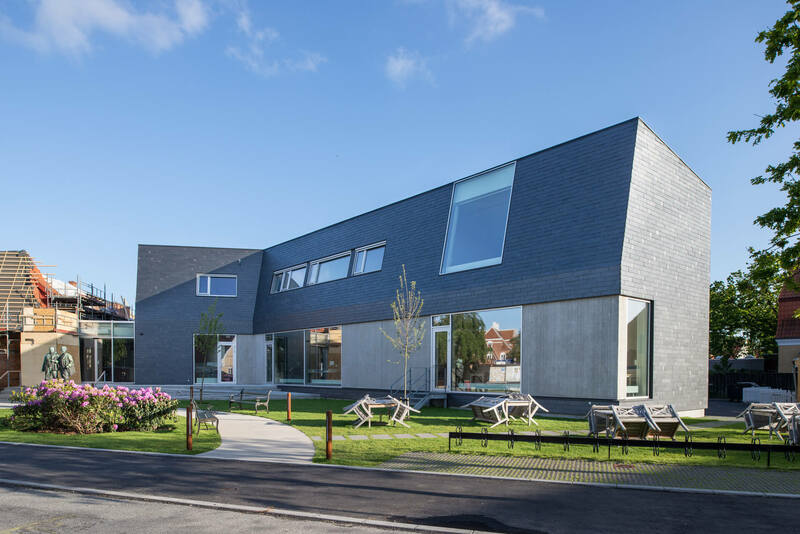 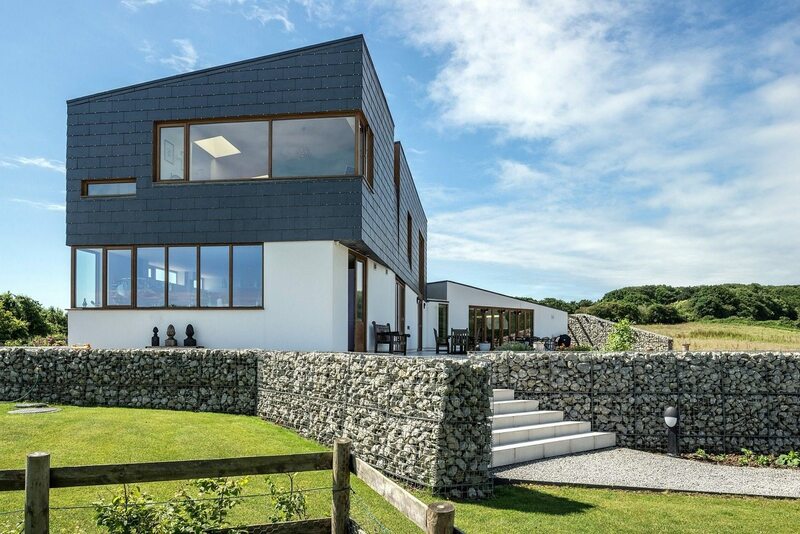 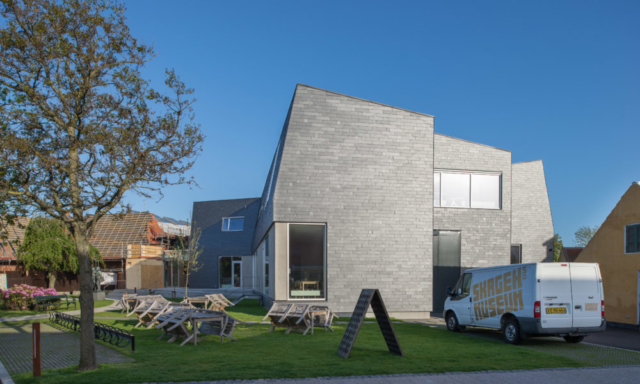 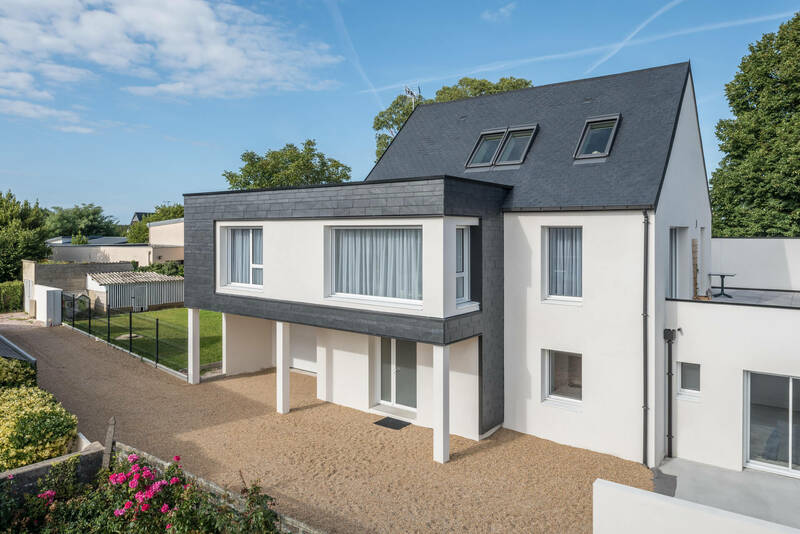 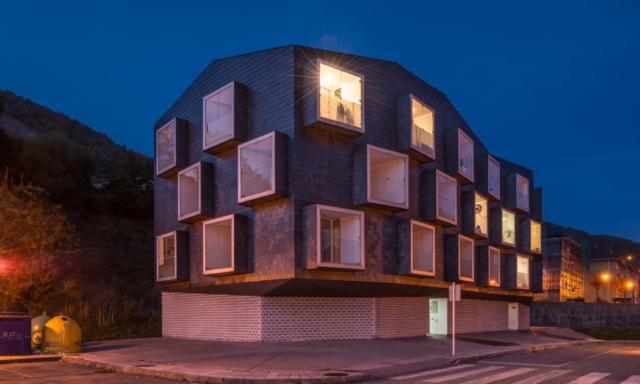 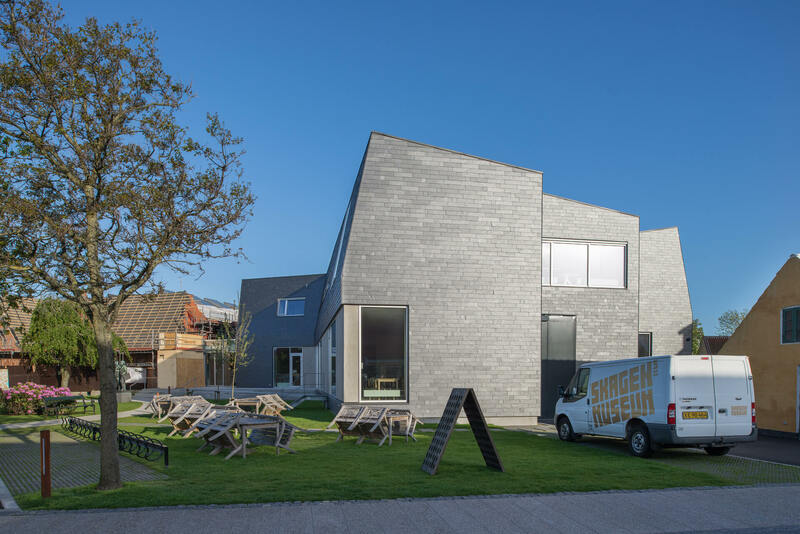 One of the more environmentally friendly products on the market, natural slate is already a popular tool for the sustainable passive home trend. 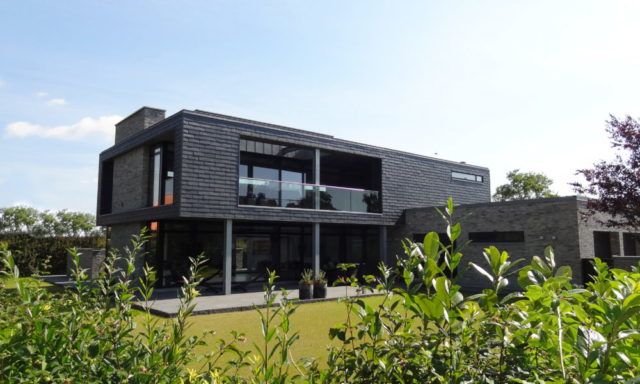 The CUPACLAD system helps cut back on energy bills, saving not only on harmful CO2 emissions but also some cash. 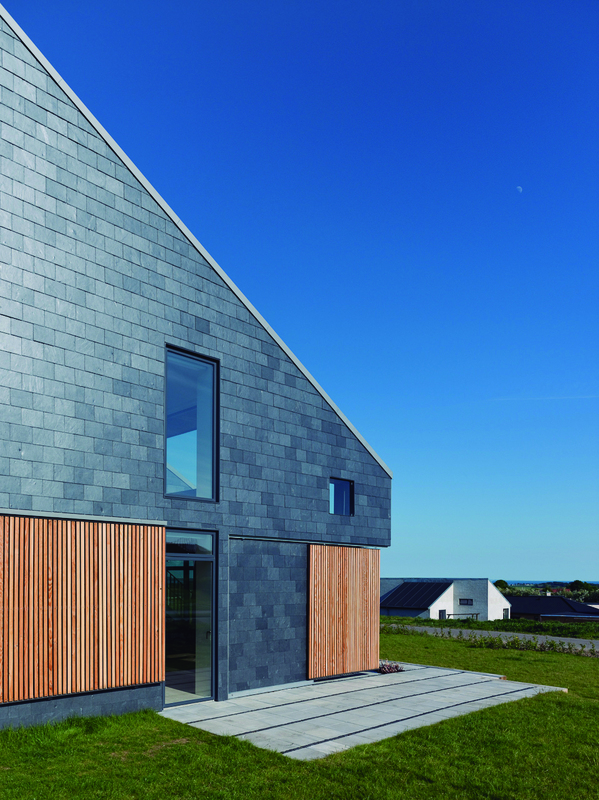 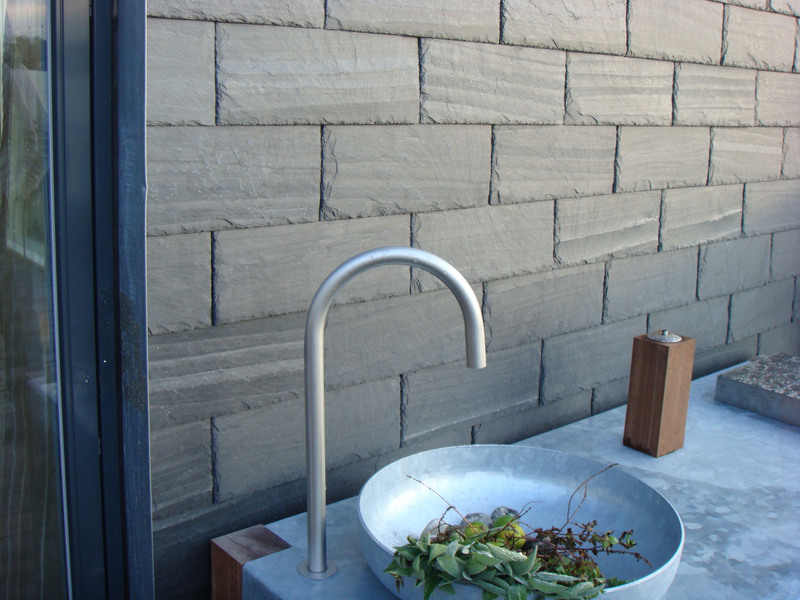 Slate siding is certainly turning heads. 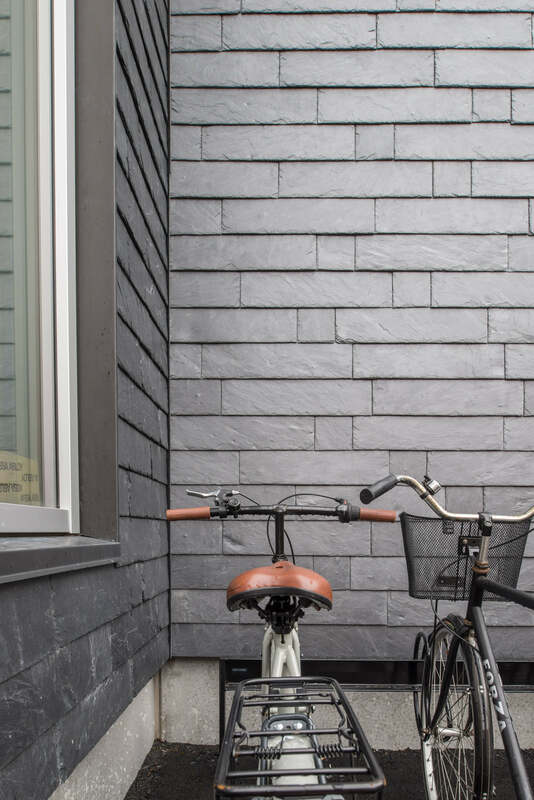 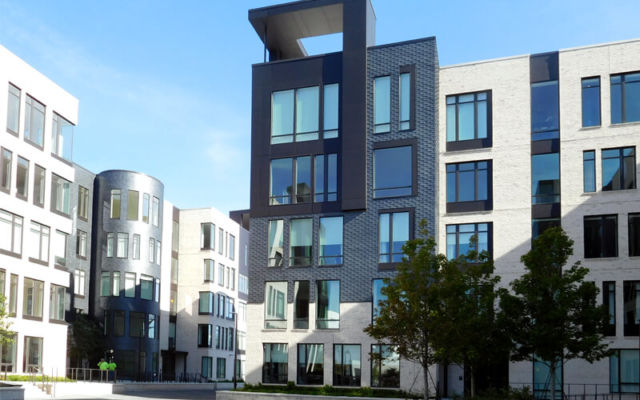 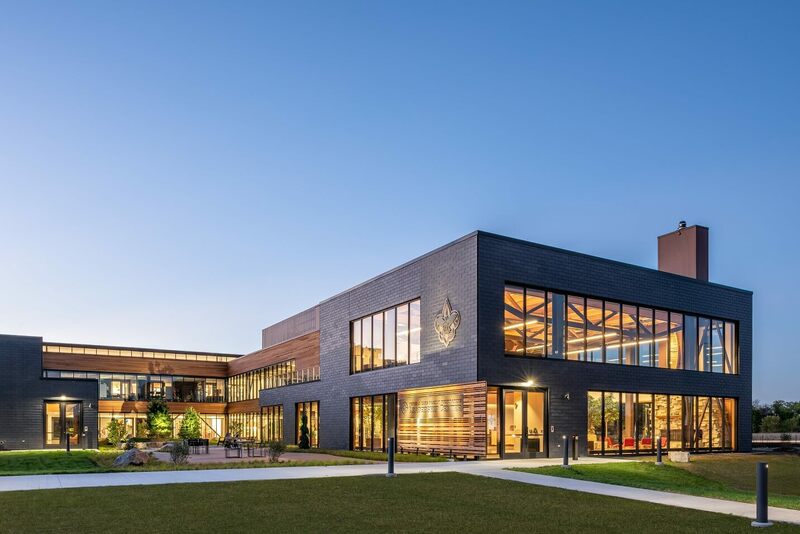 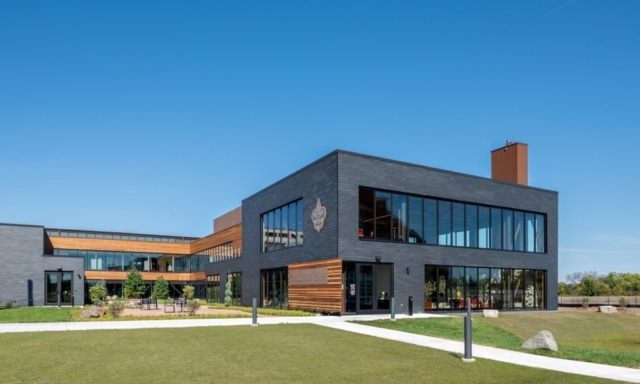 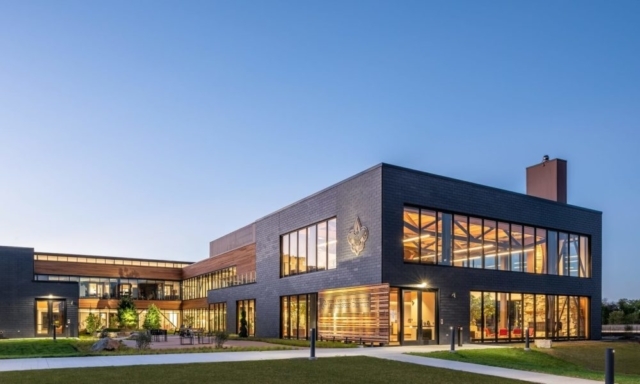 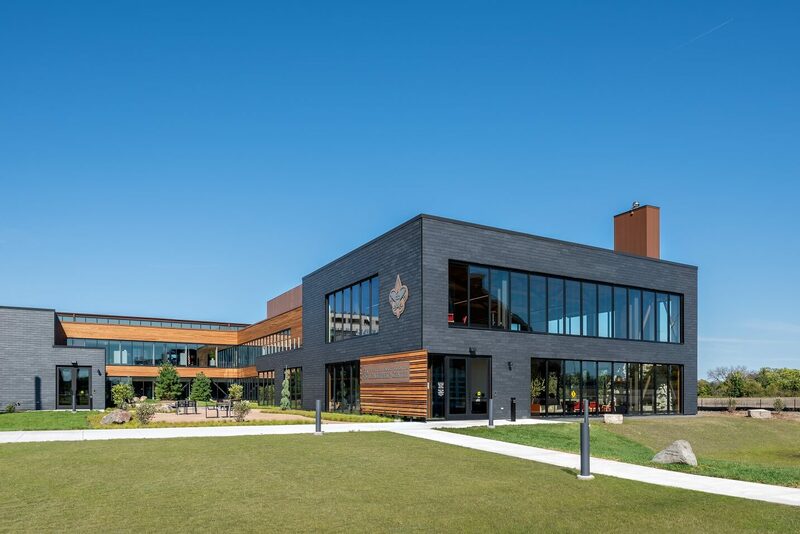 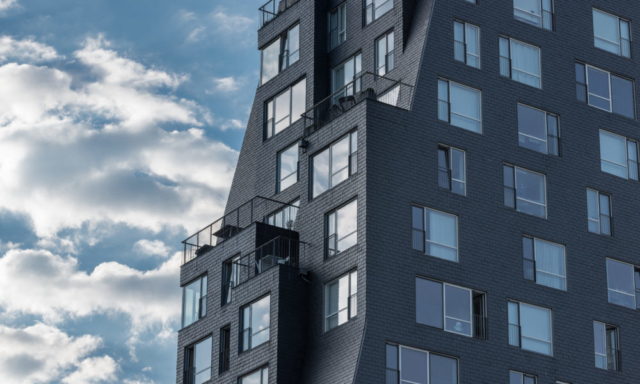 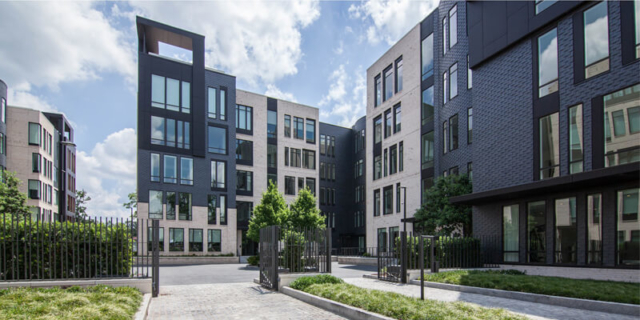 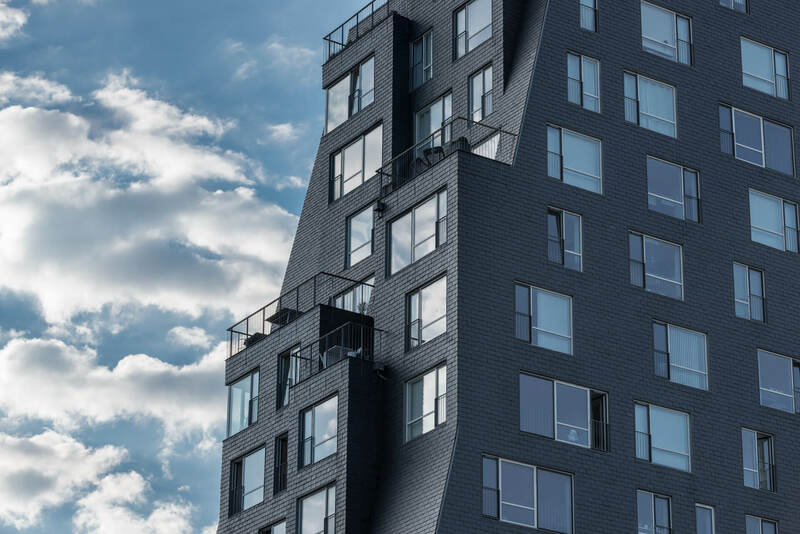 The sleek, timeless material has been refitted as a siding material that can be constructed in a number of different tile shapes, sizes, and orientation. 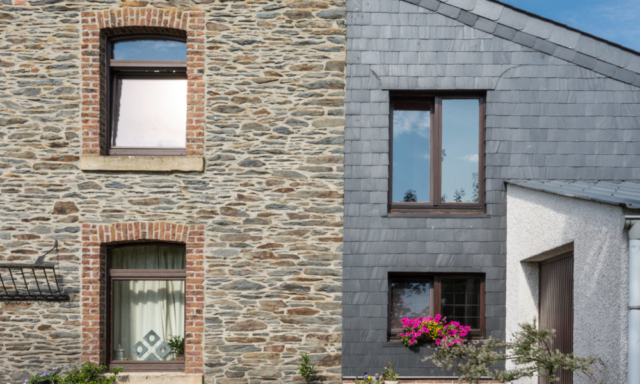 With an expected lifespan of over 100 years, natural slate is an incredibly long-lasting material. 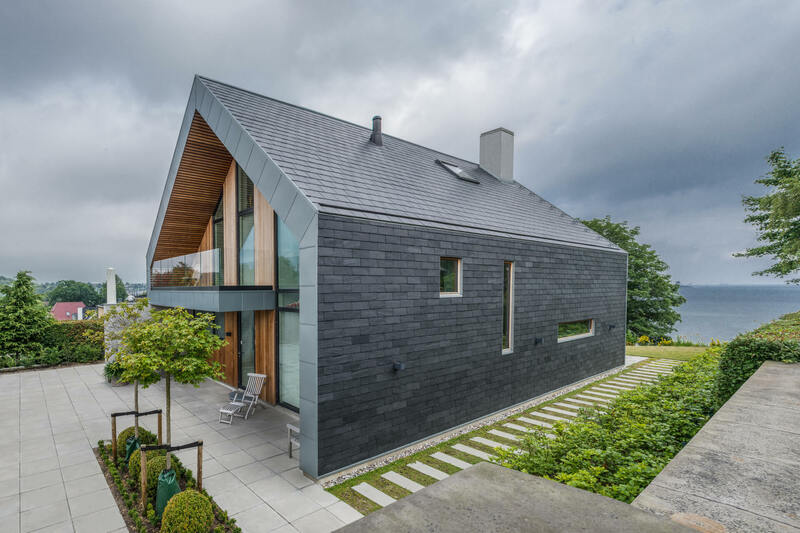 On top of that, it is versatile in a number of climates; natural slate is very resistant against hail, hurricane force winds and fire. 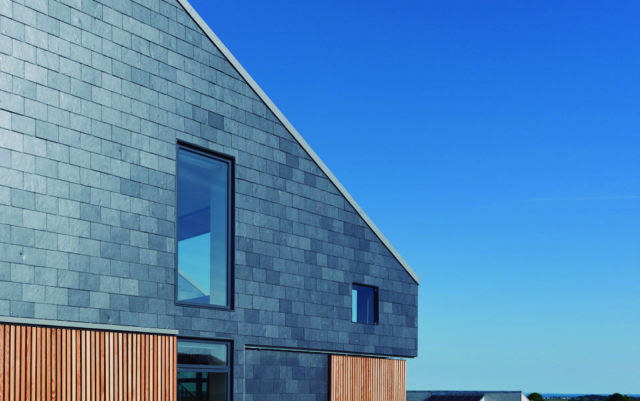 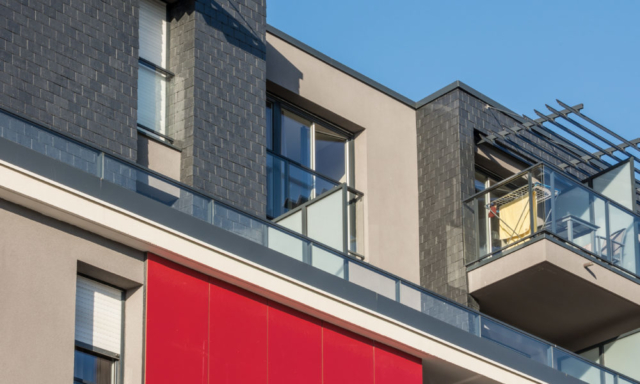 Featuring simple, balanced design, our CUPACLAD 101 Logic rainscreen cladding system puts the texture and sheen of our natural slates right to the fore. 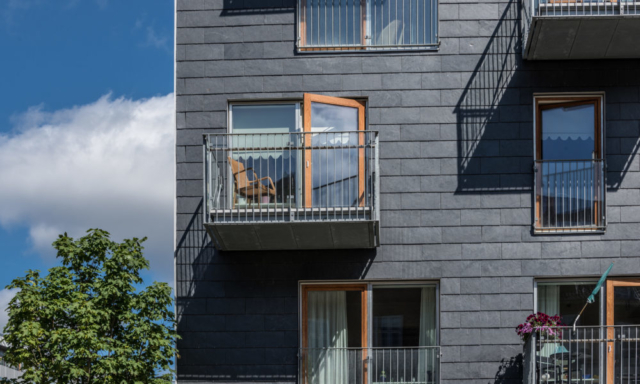 CUPACLAD 101 Parallel is a rainscreen cladding system with aligned joints, generating a homogeneous composition that highlights the unique personality of our natural slates. 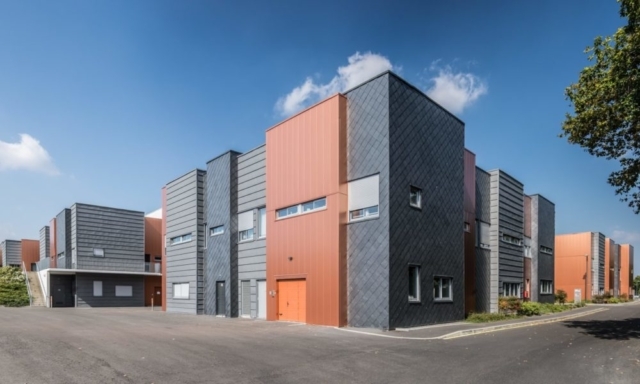 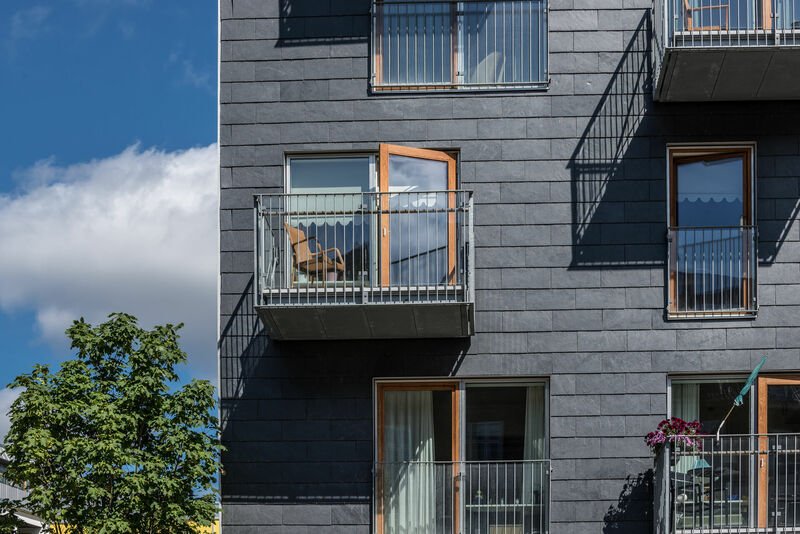 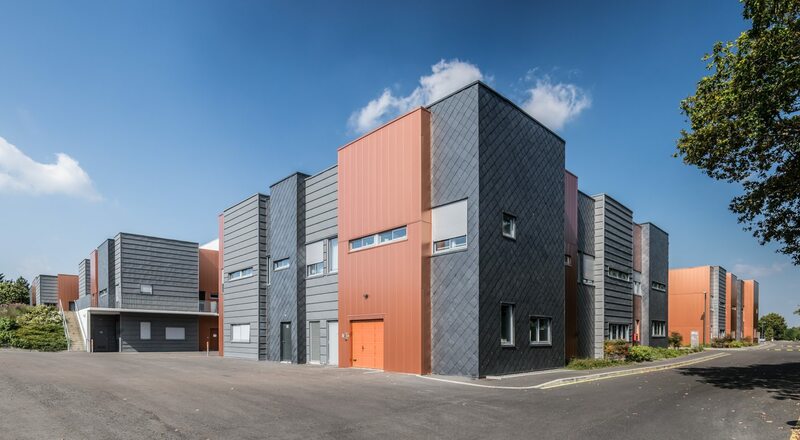 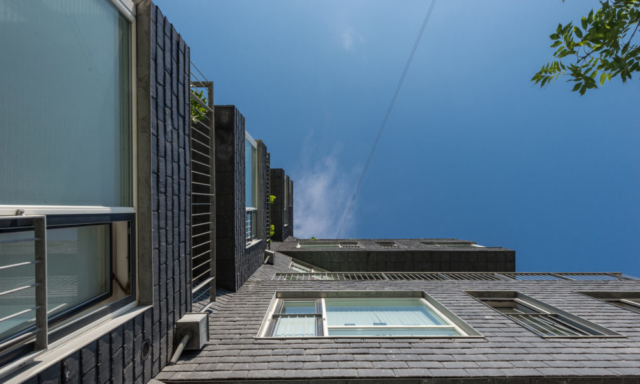 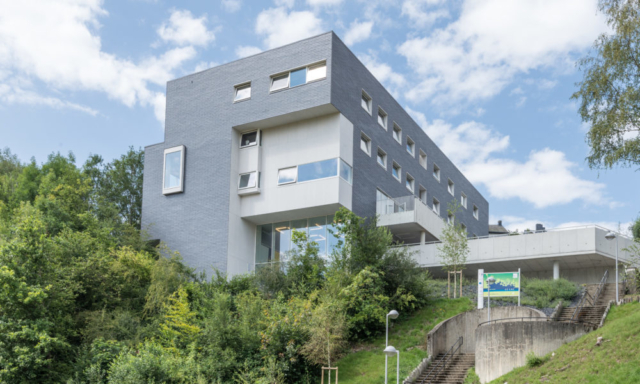 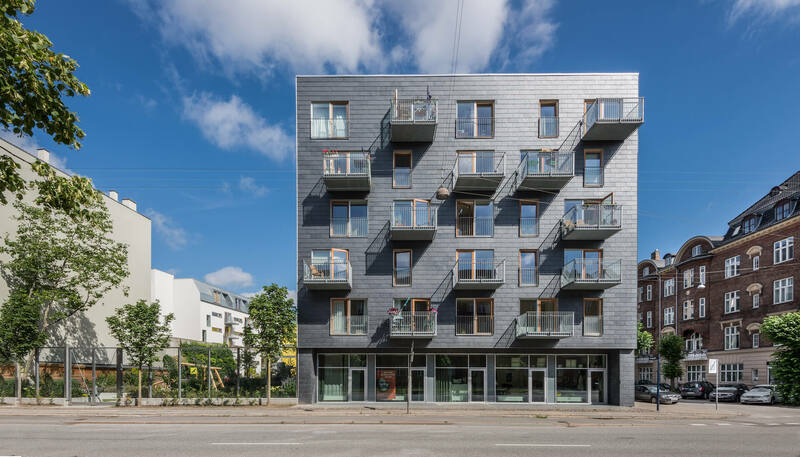 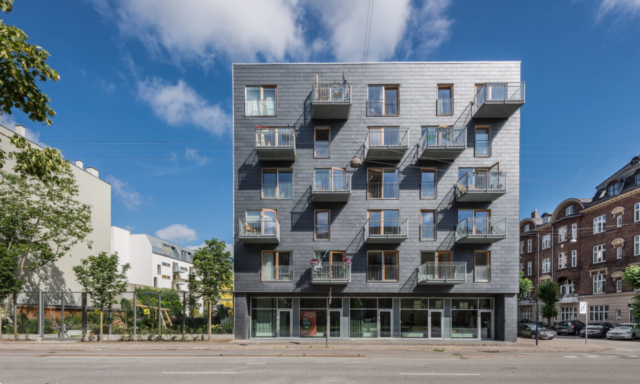 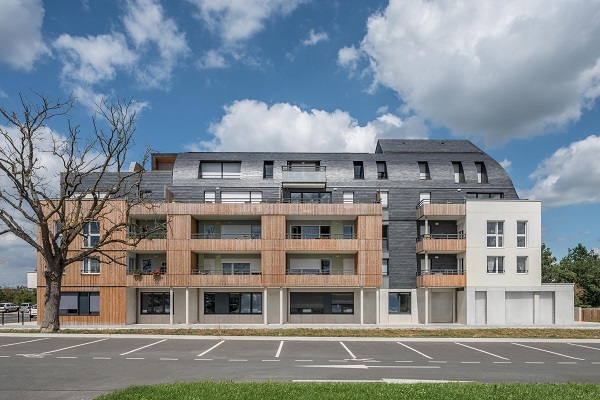 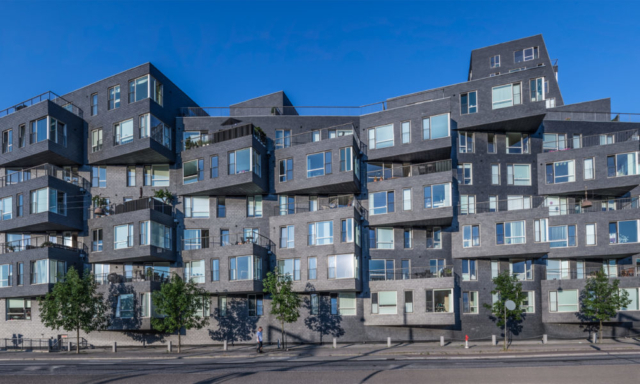 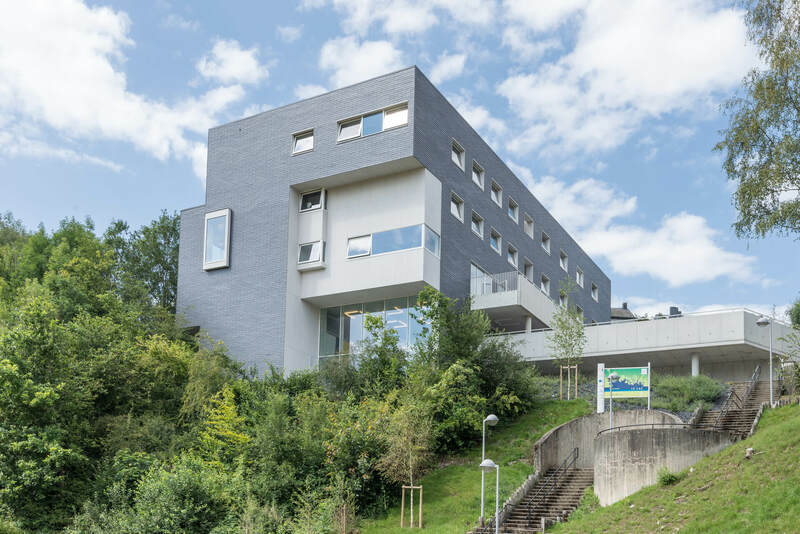 The CUPACLAD 101 Random rainscreen cladding system revolutionises natural slate cladding installation by combining different slate sizes to generate a dynamic, creative composition. 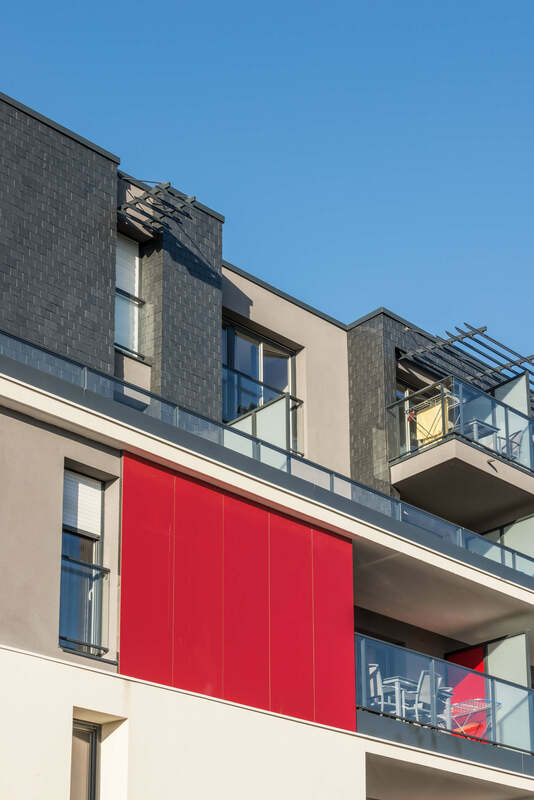 Check the complete information for on site installation of CUPACLAD systems in our installation guide section. 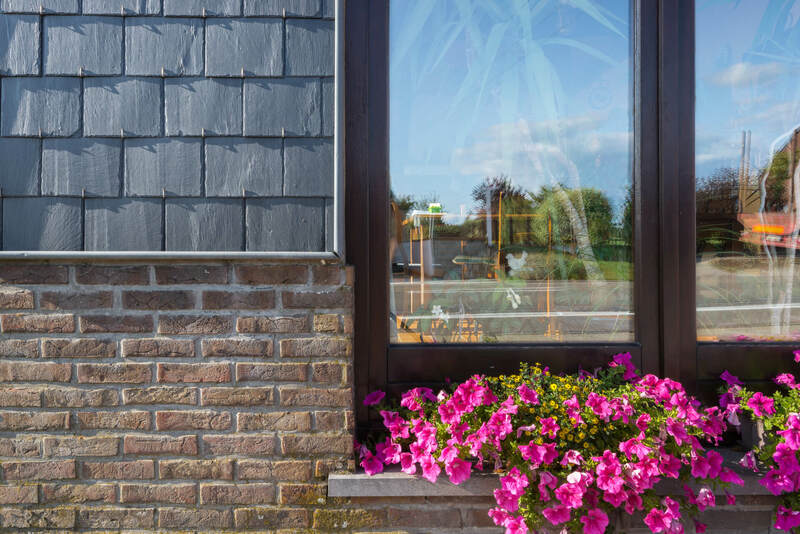 Access our documentation section for further information about our CUPACLAD siding systems. 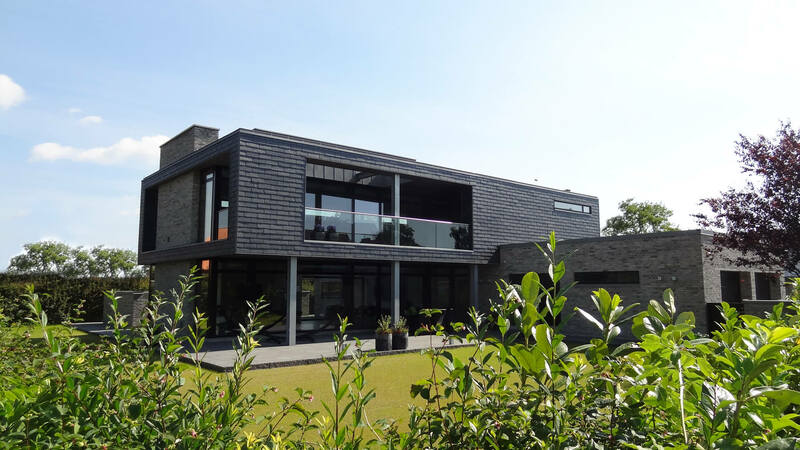 Go to our projects section to see photos of some of our finished projects. 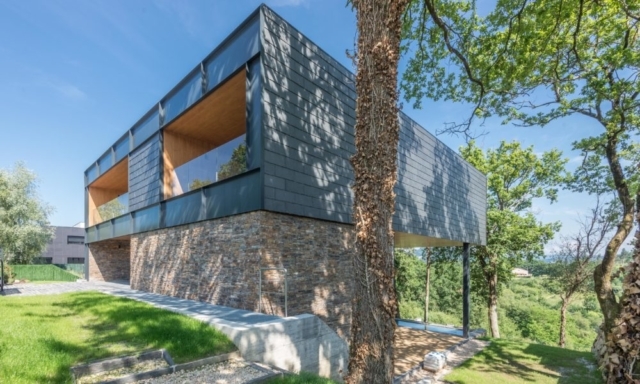 Do you need advice for your next project? 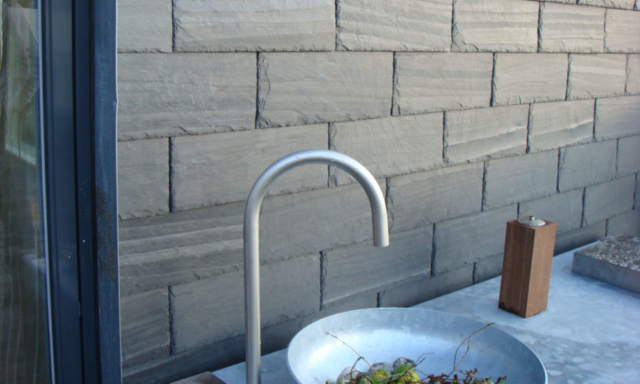 We are at your disposal.